A new report from CommSec has found that Western Australia is currently the country’s best-performing state, which signals a strong area for commercial and residential real estate investors. After assessing areas such as investment, retail spending, employment, construction work, housing activity and population growth, Western Australia came out as number one in Australia, due to its strong economic performance over the April 2014 quarter. The CommSec State of the States report found retail spending was the biggest driver of the Western Australian economy, due to the high level of population growth that has boosted spending to above decade average levels. In fact, population growth was so strong for Western Australia that figures were 21.4 per cent above the decade average, highlighting property investment opportunities for real estate in Perth and other densely populated areas in the state. Another area that Western Australia ranked highly in over the April quarter was housing finance. 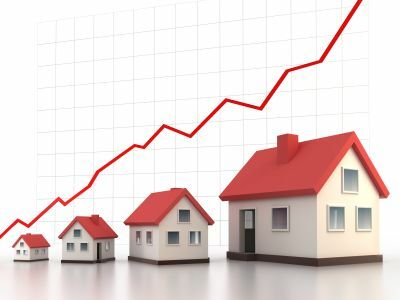 Trend housing finance figures in the state were found to be 10 per cent above decade average levels and shows strength in the real estate market. Earlier this month, the Housing Industry Association (HIA) reported that housing supply in Western Australia was too slow to catch up with levels of population growth. However, home lending figures for construction has sharply picked up in recent months. “Only now are we finally starting to see the levels of new home building that we should have been seeing for the last three years,” said John Gelavis, HIA Western Australia acting regional executive director. Over February, loans for the construction of new homes increased by 10.5 per cent. Meanwhile, overall loan activity from owner occupiers for both brand new and established houses rose by 2.5 per cent. Although Western Australia is currently the country’s strongest state, it seems it won’t be long until neighbouring Northern Territory catches up. The report found the Northern Territory is hot on the heels of Western Australia and has seen significant growth in the areas of economic growth and construction work. However, one area that the Northern Territory fell short in was home lending. Over the April quarter, the Territory saw very low trend commitments for housing finance. Despite this, economic activity in the Northern Territory is 52 per cent higher than decade average levels of output and paints a positive picture for coming months and years ahead.